Biscoe + Stanton Architects were appointed by contractor Durkan Ltd. to carry out the detailed design and construction information for 39 new build 1, 2 and 3 bedroom flats and maisonettes over 1,000sq.m of commercial space at ground floor level. The flats were a combination of shared ownership, market and intermediate rent in a four and part five storey building. The linear building occupies the entire edge of town centre site and is bounded by a Red Route and the River Quaggy on its principal elevations. The constrained nature of the site led to the lightweight Metsec SFS system being specified for all external and internal party walls. The site also sits in an area of high flood risk so attenuation and a brown roof were designed to reduce surface water run-off to the river. The Lee High Road façade is composed of a series of layers that work together to provide visual interest and depth to the elevation. At ground floor fronting the road the building is predominantly retail frontage with glazed shopfronts interspersed with glazed brickwork. 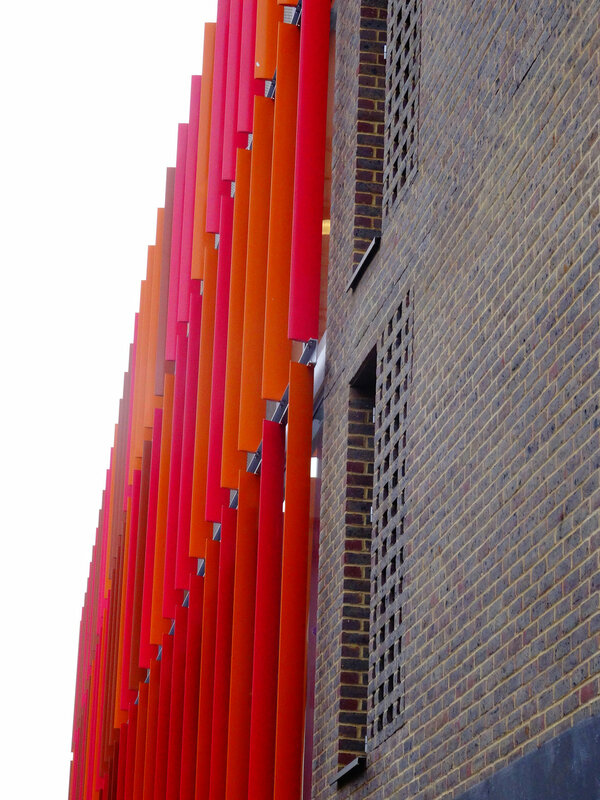 Above ground floor the building is characterised by external access walkways screened by vertical coloured aluminium fins with mesh balustrades running behind the fins. Additional weather and noise protection is provided by glazed screens opposite each flat entrance door. The fifth storey is composed of a series of timber clad pavilions to break up the apparent mass at this level. Two more traditional masonry buildings were designed as “book ends” to frame the original Phase 1 building in the centre of the site. 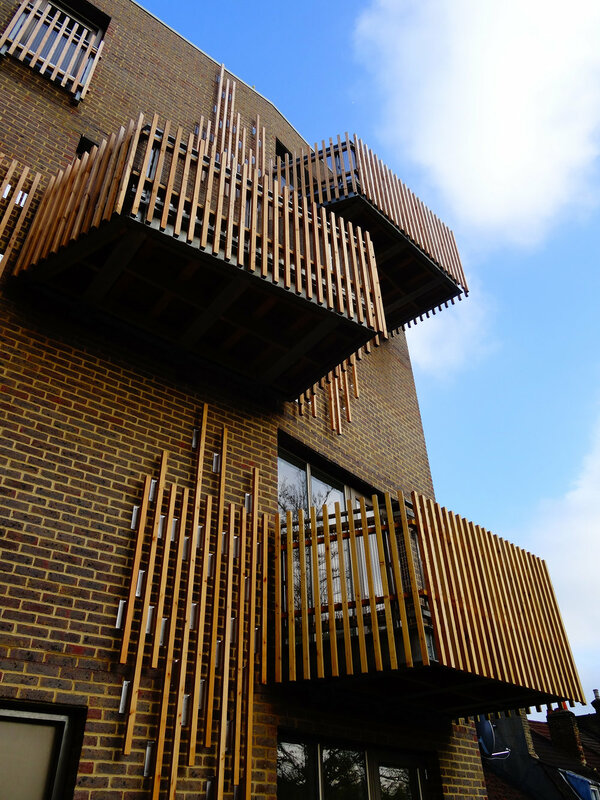 The south façade facing the river features glazed brickwork at ground floor level and timber or brick cladding above with recessed balconies, angled windows and mesh screens to restrict the potential for overlooking of the residential gardens on the opposite bank of the river. Due to the Environment Agency’s long term aim to enhance the Quaggy, environmental enhancements have been proposed, which include planting the river margins, introducing bird and bat roosting/nesting opportunities and constructing a brown roof with native British plants, gravel beds, logs and sand bars. Construction commenced in early 2013 and completed in 2015.